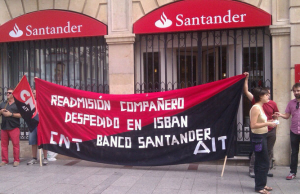 Just one day after the banker's death, the International Workers Association and affinity groups call for dozens of boycott actions against Santander Bank, Isban and Panel Sistemas in Spain, Germany, UK, Portugal, Argentina, Poland, Mexico and Norway. The trial for wrongful dismissal is set on the next September 29th in Madrid. Whatever happens, direct action has shown to be the working class's strongest weapon along the conflict. 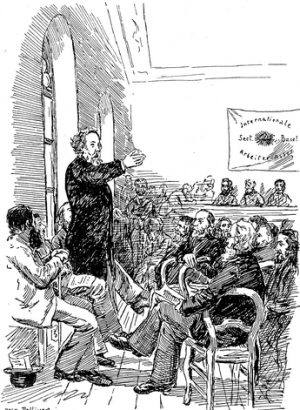 In the first weeks of August, a series of presentations and discussions on anarchosyndicalism took place in Asia. 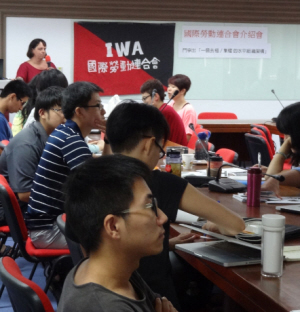 Many IWA Sections presented topics and took part in meetings and round table discussions with a wide-range of activists from Hong Kong and Taipei. Besides a presentation and discussions on the principles and practice of anarchosyndicalism and a presentation on the IWA, its history and how it works, seven Sections of the IWA took part, presenting something about themselves and how they organize. 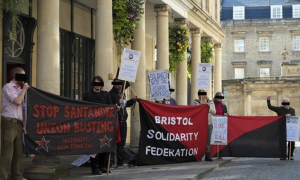 There were plenty of examples of successful direct actions, accompanied by videos. 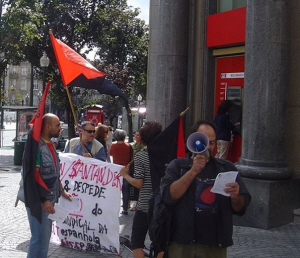 There were explanations about how some organizations choose to carry out certain campaign and also examples of social protests or activities the Sections have been engaged in, ranging from mass protests in Brazil to cooperatives in Spain to tenants movements in Poland. The events generated lots of discussion and exchange. We also got to learn something about the local realities in Hong Kong and Taiwan, setting extra meetings with activists. A separate meeting was held on anti-gentrification movements in which some of the Hongkong activists participate, sharing their experiences. The comrades who took part in organizing the events assessed them positively and would like to continue dialogues and produce some more basic texts geared towards people in that region. We thank everybody who helped to organize the events in these cities, everyone who helped with the space, translations, food or just showed hospitality! Thanks also to those who showed up, organized extra meetings and shared their local experiences! We hope to see or hear from you again soon. 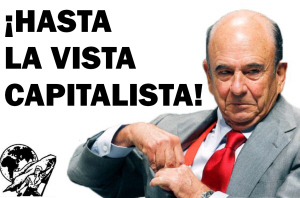 The CNT-AIT Granada announces the end of the conflict with the metal company Portinox, from the Teka group. The past Wednesday, July 16, a court decision was handed down from the hearing of the 14th. 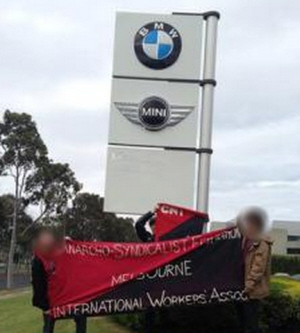 The dismissal was voided and our comrade Pablo, the CNT union delegate in this company, returned to work on July 21. The company was ordered to pay his back salary and reinstate him immediately.